This Friday, I’m back DJing in the East Bay at the spot that feels like home, Radio Bar, with my brethren DJ Brigidope. 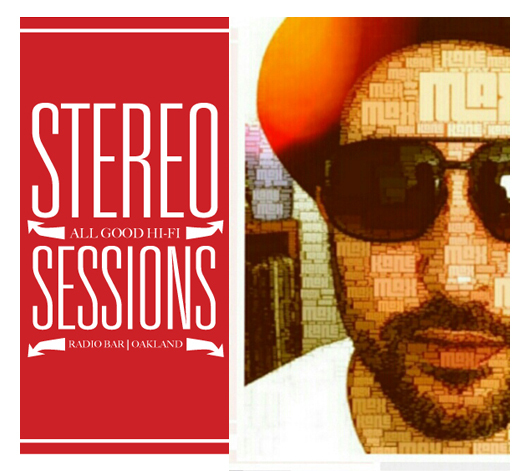 For this edition of our STEREO SESSIONS 2nd Fridays, we’re bringing in our longtime friend and an ill DJ/producer/turntablist, Max Kane, of the crew 4onefunk! I haven’t spun with Max in years (he was waaay sick the last time I tried to book him), but I always keep Max Kane in mind in terms of people I want to book because of his ill sets, and he’s one of those “dudes” that I feel like I owe because of the opportunities he gave me years go holding down his residency at the now defunct Easy Lounge in Oakland. Friday, March 8th: Join us for FREE this Friday & every 2nd Friday at Radio Lounge in Downtown Oakland for STEREO SESSIONS! This Friday, March 8th, we welcome MAX KANE of 4onefunk as our special guest DJ! 21 & Over With Valid I.D.